Today I’m going to give you a talk about some of my thoughts about weight loss and also some of my thoughts optimizing health in the long term. My concept of this has evolved over a number of years. This discussion is pertinent for anybody looking to improve their health or looking to lose weight (whether or not you’ve had weight loss surgery). This is not just about losing weight. This can pertain to anybody. Hopefully this discussion will help many people. We’re talking about optimizing health and optimizing weight loss. It’s a new year, so all of us have that somewhere in out “to do” list somewhere. The essence of any weight loss plan (of health plan) will always be behavior modification. If we don’t change our behavior then literally nothing will change in our life. We have to do the changing. It can’t be that we’re waiting for everybody else to change for us and that will change our life. That just doesn’t work very well. We have to change behavior. Change is not going to occur unless you change your behavior! It really is up to you. No matter how you look at it, it’s still a personal responsibility. That’s true for me. It’s true for everyone. This is an overview. I also call it an Over Simplification. Controlling weight and health, I’ve become convinced, is controlling insulin levels. If we control insulin levels, we control weight and health. Insulin is a hormone. Its main function is to control blood sugars. When blood sugar goes up, insulin goes up to help keep our blood sugars controlled. Insulin causes a lot of other potential problems. It causes the following: water retention, increases B/P, increases chol/TG’s, increases inflammation, increases heart risk, and turns on fat storage (weight gain). If we can control insulin weight and we can control health. The real question is how do we control insulin??? It’s a hormone you can’t live without. I’m digressing a bit. But if you look back 100 years ago before insulin was available as a medication Type I diabetics (they make no insulin) were pretty much given a death sentence because it was a slowly wasting disease. We want the insulin numbers as low as possible because it worsens so many other health problems. We can control blood sugar somewhat by getting rid of anything that raises blood sugar; keeping calories low, keeping carbohydrates really low and a modest amount of protein. Subsequently we can control the blood sugars ok without any insulin. Without insulin, you can’t store fat. So, 100 years ago, people with Type I diabetes would just keep losing weight. Zero insulin is a bad number. Controlling weight and health is controlling insulin levels. How do you control insulin? There are 4 ways. There are actually two more that I’m not going to get into too much. We need to control stress and get quality sleep. When we are highly stressed and suffer from poor sleep, cortisol levels go up which results in higher insulin levels. Control stress through deep breathing, exercising, warm bath, or whatever. But there are four main ways of controlling insulin. Number one is low calories. Insulin levels will come down if you lower your calories. The issue is, if we take calories too low, over time your metabolism will slow down significantly. Cutting calories way back long term isn’t necessarily a doable thing and might not lead to as much weight loss as we would like because of slowing of metabolism. Exercise can be very helpful. The more intense the exercise, the better it works. That’s where high intensity interval training and the weight training comes in. The more active you are, the more controlled your insulin will be. Anyone that has Type II Diabetes should absolutely be exercising. Low carb has got to be the cornerstone of an eating plan to control insulin levels. It’s carbs that influence insulin the most. If you ignore eating low carb, it’s going to be next to impossible to control insulin levels. How low is low? I’ll get into that later. But it is somewhat based on the individual. The fourth way to control insulin levels is intermittent fasting. It works the very best to control insulin levels. Intermittent fasting means not eating. Two of the reasons it works is because it’s both low calorie and low carbohydrate. There are lots of other reasons it works too. How do you actually implement these ways to control insulin levels? Three out of the four have to do with eating. You can say that diet trumps everything else. We still have to really work on our diet. Words to live by: eat a small amount of good food slowly. Make that your mantra! If you do that you’ll typically be eating healthy. When I say “good” it doesn’t necessarily mean it tastes good like a candy bar. By good, I’m talking about quality food. Tape it to your refrigerator door or make it your screen saver. Let’s talk about the “concept” of eating. This is your overall thought process of eating. “How little can I eat and be satisfied”, NOT “How much can I cram in there…” The difference between those two statements is generally a good 20-25%. That’s the mindset. Then we need to look at the “pattern” of eating. The pattern of eating is the simplest thing to change. When we’re eating has nothing to do with what we’re eating. I like for people to have a good pattern of eating. That doesn’t necessarily mean it’s a regular pattern. It can actually be an irregular pattern. If you think about it, throughout history it typically has been an irregular pattern. For some individuals, it works really well eating every few hours. I assure you that’s not my patient population. Forty to fifty years ago that was the norm. The pattern of eating was typically 3 meals a day. That was it. There weren’t a whole lot of snacks because you didn’t want to “ruin your appetite.” Obesity and these health issues weren’t nearly as prevalent. That also meant there were 12 hours after that 6:00 supper. Fasting was typically part of a normal eating pattern 50 years ago. Thousands of years ago fasting was a huge part of it because food wasn’t available. You were lucky if you got one or two meals a day! It’s figuring out a pattern that’s good for you. Again, it doesn’t necessarily have to be a regular pattern. It might work well for you, but other people not so much. For the surgical patients we often tell them they should eat breakfast each day. There is some rationale to that. But for long term most people get beyond the surgery and feel good and it’s not necessary. But you need to get your protein and hydration in. It’s really hard to do right after surgery. It’s not hard to do long term. Eating when you’re not hungry is probably not such a great idea. Skipping meals is ok unless you just had surgery. Some people need a snack. Others don’t need a snack. Remember that what we’re trying to do is control insulin levels. It doesn’t matter what you eat. Anything you eat will make insulin levels go up. You need to have time for insulin levels to go back down. If you’re eating every couple of hours, insulin levels never go back down. There is good evidence that the same size meal taken late in the evening versus earlier in the day will stimulate a much more dramatic insulin response. A much more dramatic insulin response is going to turn on fat storage that much more. Literally the same calories eaten at a different time can affect us significantly. With the Mediterranean diet they have the big meal mid-day and typically light eating in the evening. In the US we have that backwards typically. We’re often having our latest meal later into the evening. If it’s really getting later into the evening you’re getting a much bigger insulin response which turns on fat storage and turns on all the other problems. The pattern of eating is something we have to figure out. It’s simple to change. You’re either eating or you’re not eating. 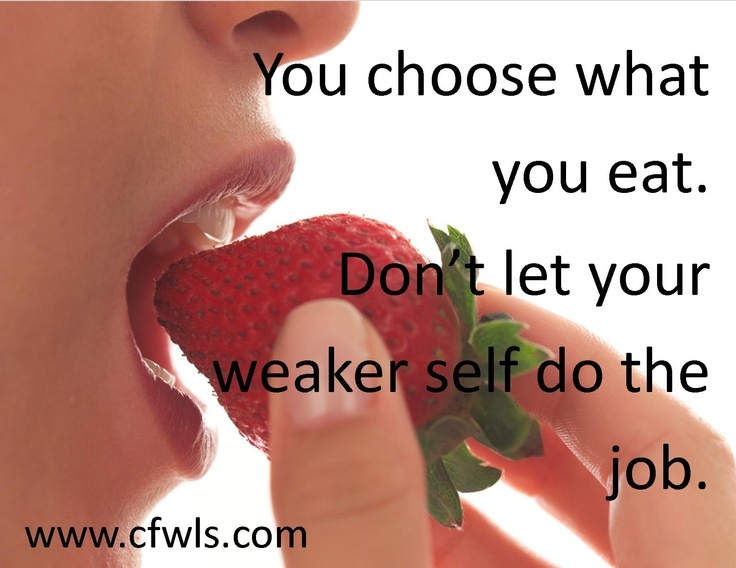 When you make the decision to eat, there are so many other decisions that have to be made; what are you going to eat? How much? What’s the makeup of all this stuff? The pattern of eating is the simplest to change. But simple doesn’t mean easy. What should a meal be? A meal size should be a small plate size. It’s true whether you’ve had surgery or not. A small amount of good food slowly. The best food has no labels (non-processed food). That means we prepared it ourselves. It’s the processing that causes a lot of these problems. Try to avoid processed foods. Purchase it yourself. Prepare it yourself. Get it from the edges of the supermarket. So what am I going to eat? This is where we have lots of decision making and lots of shades of grey. The basics of any eating plan is looking at three things: how many calories, how much protein, and how much carbohydrate you’ll be sensitive to. I didn’t say a whole lot about fat. Fat will influence your calories. Fat also has minimal influence on insulin. I don’t recommend “high protein” diet. High protein actually stimulates insulin levels significantly. The trick is figuring out the numbers. There’s always a calorie ceiling. If we go above a certain number of calories (for every person it’s different-no matter what you’re eating) you’re not going to lose weight. There’s always a calorie ceiling. No matter what we eat it will influence insulin levels. But carbohydrate raises it the most. Just because you stay below that calorie ceiling doesn’t mean you’ll lose weight. It just means you’re not gaining weight. That’s all. We can’t survive without protein. Your body is utilizing it second to second, day to day for everything that’s happening. It’s used for heart beating, digestion, breathing, growing hair, etc.… If we don’t take in enough protein each day, your body is going to steal what it needs from your lean body mass. If you’re breaking down lean body mass, you’re slowing your metabolism down. Lean body mass is what drives our overall metabolism. The more lean body mass you have, the higher your metabolism. How many calories does a pound of muscle burn? It depends on how well trained it is. In an elite athlete, a pound of muscle is burning calories like crazy. World class athletes can eat 7-8000 calories a day. Couch potato muscle doesn’t burn much! Muscle burns more calories than fat. The better trained the muscle mass, the higher your metabolism. Everyone has a carbohydrate “tipping point.” That means that at a certain level of carbohydrates your insulin levels will jump up. When insulin levels go up, you retain water and store fat like crazy. It turns on fat storage. When you turn on fat storage you’re not going to lose weight. You can figure out what your tipping point is, but it’s not easy to do. The healthier the carbohydrate and less processed, your tipping point will be higher. If you’re exercising your tipping point will be higher. If you’re not very carbohydrate sensitive you’re tipping point will be higher. There are people who aren’t carb sensitive who eat a lot of carbs and don’t gain weight. They just have a more efficient physiology. If it only takes a tiny amount of insulin to make your blood sugar decent then you’re not going to turn on fat storage. Here are some things to “chew” on. “Kinda” working on weight loss does not work. You need to be all in. If you’re only going to do one thing—count your carbohydrate intake. It gives you the most bang for your buck. There’s no such thing as carbohydrate deficiency. Since carbohydrate is not an essential nutrient and they do significantly influence insulin, try to get the carbs as low as possible. 2/3 of the population is carb sensitive. Close to 95% of my patient population is carb sensitive. Many of those people are also insulin resistant. It’s like a stepping stone; Carbohydrate sensitivity to insulin resistance, to diabetes type II. This means when you eat just a little bit of carbohydrate you tend to get very large blood sugar swings. What should happen is the blood sugar goes up a little bit after eating carbs. The insulin levels only go up a little bit. If your carbohydrate sensitive, what tends to happen is a delay with the insulin. It’s supposed to kick in but it doesn’t. Subsequently, you get a huge blood sugar swing. Then the blood sugar plummets. The insulin is chasing the blood sugar around all day. The blood sugar swings tend to cause symptoms: headaches, irritability, not thinking clearly, and weight gain. Weight gain comes from the blood sugar swing up which causes a big release of insulin. Insulin turns on the fat storage. The treatment is to not get the upswing. If you don’t get the rise up, you don’t get the fall. People who are fasting keep their blood sugars rock even. It’s only when you start eating that things get out of whack. Many doctors, clinicians, and dieticians don’t understand this probably because they haven’t thought about it. The concept is very straight forward. A blood glucose of 100 is the highest end of normal. Ideal range is 65-85. If your blood sugar is 100, what does that actually mean as far as how much sugar is in your blood? It’s only a tiny amount. We each have about 5 liters of blood in us. So if we say your blood sugar is 100, how much sugar is in your entire blood stream? The answer is 5 grams. That’s a miniscule amount. It’s the amount in a sugar cube. If you’re sensitive to carbohydrate, it only takes a tiny amount to get a blood sugar swing. 5 grams is ½ an Oreo, 1 Triscuit, 1/5 of a banana, ¼ apple, or ¼ slice of bread. If you have just one of those food items, you’re potentially doubling your blood sugar. A tiny thing can have major implications with your health. If your blood sugar is 80, that’s only 4 grams. If you eat ½ an Oreo, you’ve more than doubled your blood sugar. If you’re sensitive to carbohydrates (2/3 of the population is), it only takes tiny amounts to throw this out of whack. This turns on all those health problems. The “core” of the eating plan is what you need to concentrate on. The best food has not labels. We fix it ourselves. We get it from the perimeter of the grocery store. Eat just 3 things. Number 1 is hydration. Water is the best thing to drink. Get rid of almost everything else. Number 2 is good protein sources. We would die without protein. The best sources are meat, seafood, cheese, and eggs. They are protein with no carbohydrates. This is considered adequate, not high protein. High protein will make insulin levels go up high. The whole concept is preserving lean body mass that keeps your metabolism decent. Number 3 is the vegetable/ salad stuff. It’s unprocessed food. No one ever gained 100 pounds eating too much broccoli. 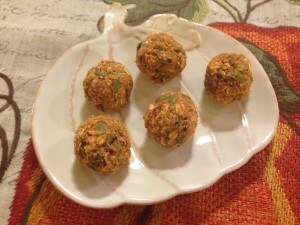 They’re low calorie, nutrient dense, and fairly low in carbohydrate. If it falls outside the “core”, don’t eat it! Easier said than done. The concept is simple but not easy to do. The other end of the spectrum is the processed carbohydrates. This is the low carb diet simplified (LCDS). There are 3 things: the starches, the crumbly carbs and fruit. Fruit can be the downfall of many weight loss plans. It’s not because it’s not healthy, but it has a lot of sugar. It can turn off weight loss because it can affect insulin. Remember that eating healthy doesn’t correlate with weight loss. They’re two different things. The starches are potato, rice, pasta, bread, and corn. You really want to avoid the processed foods. The crumbly carbs (what I call the 6 “C”s). They are chips, cookies, crackers, cereal, cake, and candy. Get rid of them. Simple to understand, but not easy to do. I’m going to give you the Basic Health Strategies that I encourage everybody to do. I try to do these things myself but I’m not perfect at it. I’m not willing to tell you to do something that I’m not willing to do. The first is monitoring. The scale is the best monitor we have. Weight yourself routinely. I encourage people to weigh themselves daily. I know everyone else out there from your dietician to your other physicians say not to weigh yourself every day because weight fluctuates up and down and you don’t want to be disappointed. The best time to weigh yourself is early in the morning. Get in the routine of weighing yourself every day. The reason is not to just look at the number, but you need to reflect on the past 24 hours. What happened or what did you do differently the past 24 hours that affected your weight? It’s relatively easy to look back on 24 hours. It might be as simple as you ate more salt the day before or you didn’t have a bowl movement. Very likely it could be too many carbohydrates which caused too much of an insulin response. The insulin caused you to retain water. It’s more difficult to reflect on a week or two. The second basic health strategy is eating. Think “how little can I eat to stay satisfied”, not how much can I cram in there! Everyone has a carbohydrate tipping point where they struggle. The core of your eating plan is hydration (water or something that’s natural with no artificial sweeteners or flavors), protein, and veggies. Significant evidence has shown that diet sodas (even without carbs) will make you gain weight because there’s a significant insulin response. It’s not that it affects your calories or blood sugar necessarily, but what does it do to insulin? The insulin effect is the key. Exercise absolutely helps with controlling insulin levels. The more intense, the better off you are. The biggest misconception is thinking that you need to exercise longer. But you need to increase intensity, not duration. You can get a tremendous workout in 20 minutes. There are a lot of examples out there. Nobody has to go to the fitness center for 1 ½ hours. This can be done at home in your own time. Sleep is important because of cortisol levels. If you have poor quality of sleep, you’re typically going to struggle. Control stress. When it is out of control we struggle with our weight and health. Intermittent fasting (IF) can be a tremendous addition to any health plan. Fasting is not starvation. They’re two different things. Starvation is something forced on us that we don’t choose to do and we don’t know where our next meal is coming from. Fasting is something we choose to do. We know when our next meal is coming, we just choose not to have it. Your body’s response is completely different. The hormonal changes that happen with IF actually work to improve health and decrease weight. Growth hormone goes up. The reality is we all fast when we go to sleep at night for about 8-10 hours. The world record for fasting is 382 days. The point is that it can be done safely and for an extended period of time. The question for each individual is how long to do it and how often. I can help you figure that out. The final health strategy is personal responsibility. No one can do it for you. You have to decide you’re going to do this and then actually do it. It’s nice to talk about it and have support but you have to do it. A few resources before I wind this down. The Art and Science of Low Carbohydrate Living is a good book about how carbohydrate works. It’s written by Stephen Phinney and Jeff Volek. Stephen is a physician and PhD. Jeff is a researcher and he’s at the University of Ohio. They’re very smart guys who live this stuff. 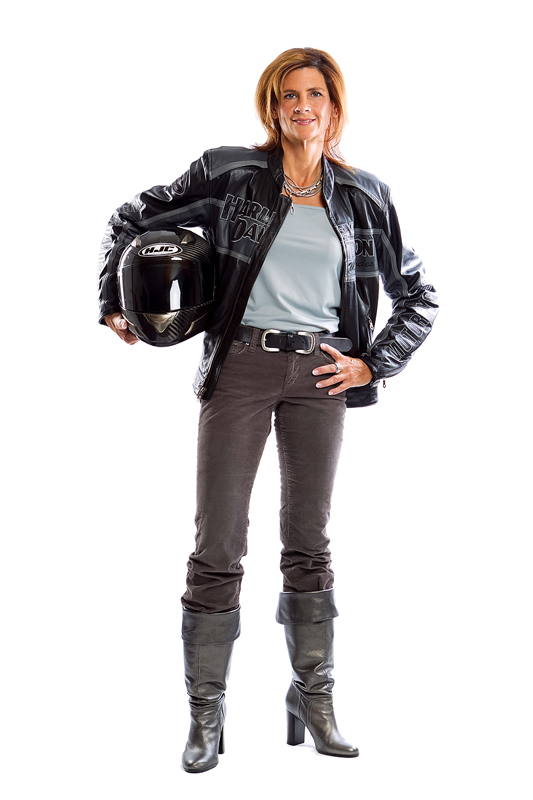 Dr. Phinney has studied this for 30 or 40 years now! They have a second book called The Art and Science of Low Carbohydrate Performance. This book looks at how you can actually improve athletic performance with low carb. 15 years ago we talked about carb loading. But you don’t need to. You can improve athletic performance with low carbs. A very good book by Dr. Jason Fung is The Complete Guide to Fasting. You can get them on Amazon. If you think of questions, just pick up the phone and call the office (757-873-1880). Don’t hesitate to send us an e-mail. Our address is: www.cfwls.com If you’re contemplating surgery know that more occurs than just having a smaller stomach. There are hormonal changes. The ghrelin levels go down which helps with controlling insulin levels. Our nutrition store is open to the public. Come by and see us. Thank you for listening. Hopefully this was helpful. I apologize for dragging on a lot longer than I thought I would. This is important stuff. This is an overview of weight and health. Controlling weight and health long-term is controlling insulin levels. Thanks for listening. I’d love to hear from you. Take care. Have a good day. This entry was posted in Weight Loss Nutrition and tagged bariatric expert, bariatric surgeon, bariatrician, carbohydrate sensitivity, Center for Weight Loss Success, diabetes, Doc Weight Loss, dr thomas w clark, excess weight, ghrelin, hormone manipulation, insulin, insulin resistance, keto diet, medical weight loss, Mediterranean diet, pre-diabetes, weight loss, weight loss epxert, weight loss hampton roads, weight loss newport news, weight loss tips, weight loss virginia on March 25, 2019 by CFWLS. How do I know if I qualify for weight loss surgery? Comorbidity: You have a life-shortening disease process, heart disease, diabetes or obstructive sleep apnea that can be improved by losing weight. For at least two years, you have attempted to lose weight. You have been obese for an extended period of time, at least three to five years. You are able to effectively care for yourself and follow a physician’s instructions. You are motivated to lose weight and maintain a healthful lifestyle. You do not abuse drugs or alcohol. You are a nonsmoker or have quit smoking. You are an adult under the age of 65. These guidelines vary by insurance carrier and your individual policy. Your insurance policy is an agreement between you and your insurance provider. However, if you are working with an experienced bariatric surgeon/center, they can easily help you navigate through your particular insurance requirements and efficiently submit your information for surgery authorization. This topic is covered in Chapter 6 of the book, Less Weight…More Life! Is Weight Loss Surgery Right for You? As with any general guidelines, there are caveats that cannot be ignored. Some of the ones we find most important include age, motivation and mindset. With regards to age, you can see by the general guidelines listed previously that it is recommended that an adult be under the age of 65. 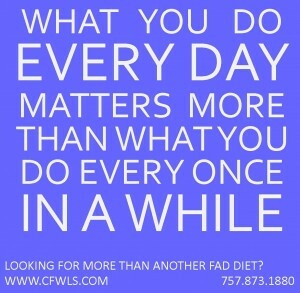 At the Center for Weight Loss Success (www.cfwls.com) we do not put a cap on age for good reason. Age is just a number. You likely know someone who is over 65 years of age yet physically, emotionally and intellectually they are really more like a 40 year old. Conversely, you likely know someone around 40 who walks, talks and acts as if they should be 80+ years old. In terms of lower age restrictions, although there are a few centers in the United States performing weight loss procedures on patients under the age of 18, most surgeons prefer to wait until you are 18 years of age or older and able to better decide and commit to such a life changing procedure. Of great importance is your motivation and mindset. If you are considering weight loss surgery, you need to be motivated and an active participant throughout your entire pre-operative and post-operative phases. This is how you will experience the best results. Weight loss surgery is something you need to do for yourself, not someone else. You need to prepare yourself physically and mentally prior to surgery and proactively plan for your post-operative phase. If you believe surgery is a “quick fix” or the “easy way out” you likely should not pursue weight loss surgery. With this mindset, you may not fully commit to the lifestyle changes that result in the rewarding outcomes that will transform your life in so many positive ways. However, if you do commit, get ready for an amazing journey. Try not to get overwhelmed here. An experienced bariatric surgeon/center will provide a comprehensive process to help guide you through these considerations. Finally, it is important to note that some people are actually too obese to qualify for weight loss surgery. If you are too heavy, you will usually be instructed to lose weight before your surgeon can proceed with weight loss surgery. 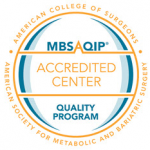 Once again, an experienced bariatric surgeon/center will guide you through this process and help you optimize your physical and emotional health prior to surgery and beyond. 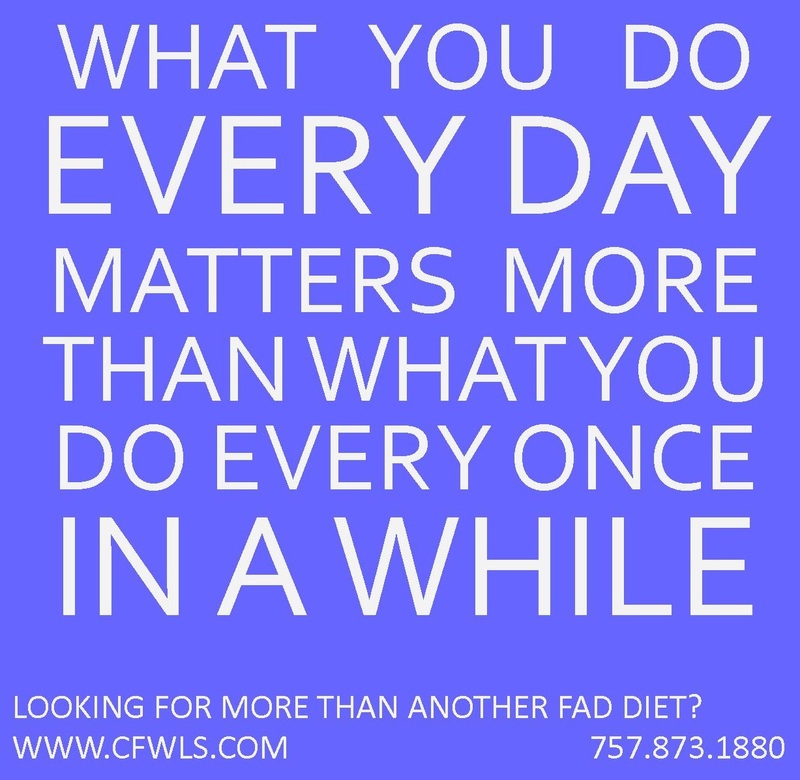 If you don’t qualify for weight loss surgery under your insurance provider, contact my Surgical Coordinator, Cat Williamson at CFWLS to discuss your options. This entry was posted in Weight Loss Surgery and tagged #surgical weight loss, achievement, bariatric, bariatric surgery, CFWLS, diabetes, Dr. Thomas Clark, gastric sleeve, gastric sleeve outcomes, insurance guidelines for weight loss surgery, Lean body mass, lifestyle, motivation, qualify for weight loss surgery, self image, sleeve gastrectomy, sleeve gastrectomy outcomes, success, weight loss, weight loss surgery on March 5, 2018 by CFWLS. 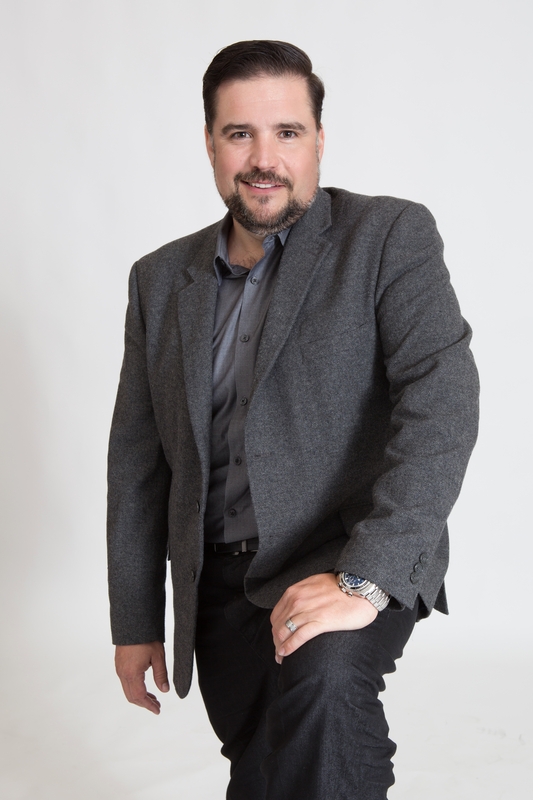 Meet Allen Fabijan – you may already know him as ‘Some Guy Named Allen’ from US106.1. What you may not know, is Allen chose weight loss surgery as a tool to help him improve his health and quality of life. 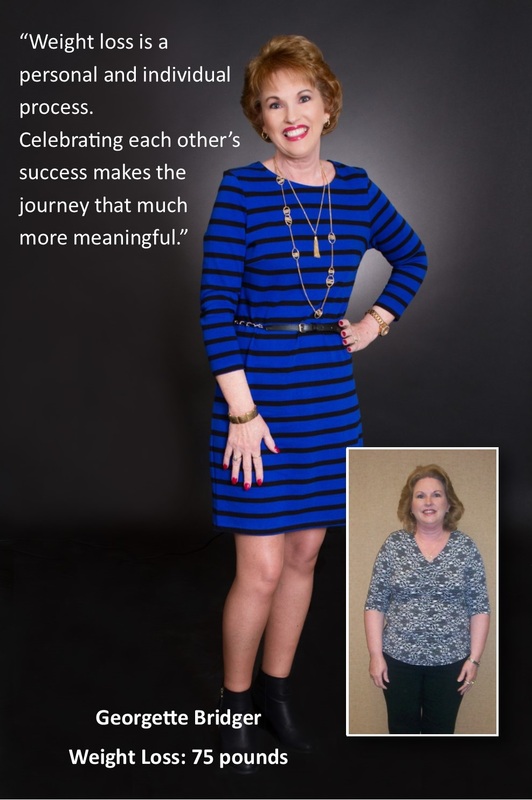 Allen has recently completed Weight Management University for Weight Loss Surgery™ here at Dr. Clark’s Center for Weight Loss Success. He has lost over 130 pounds since he began his journey to lose weight and improve his health. 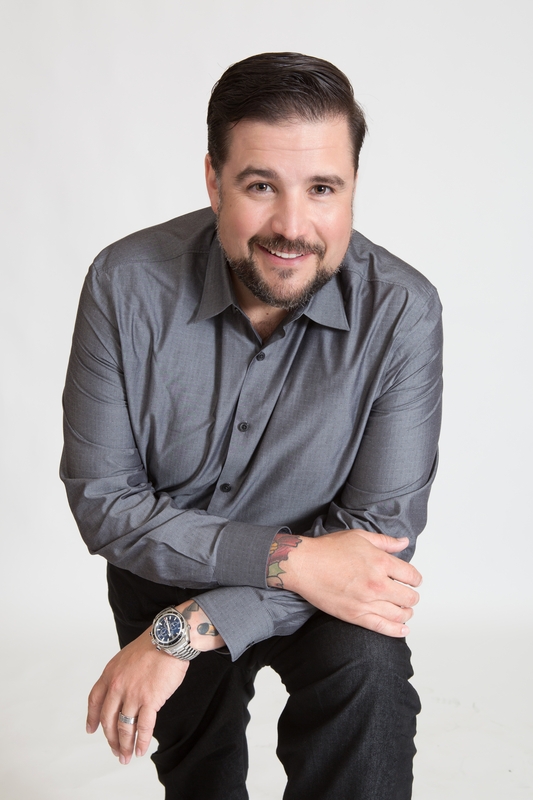 Join him as he shares his struggles and successes along the way! This entry was posted in Success Stories, Weight Loss Surgery and tagged #surgical weight loss, allen fabijan, bariatric surgery, CFWLS, diabetes, Dr. Thomas Clark, exercise, food choices, gastric sleeve, goals, high blood pressure, high cholesterol, Lean body mass, lifestyle, motivation, self image, sleeve gastrectomy, weight loss hampton roads, weight loss newport news, weight loss surgery, weight loss virginia on July 31, 2017 by CFWLS. This entry was posted in Success Stories, Weight Loss Surgery and tagged #surgical weight loss, allen fabijan, bariatric, bariatric surgery, CFWLS, diabetes, diet, Dr. Thomas Clark, exercise, lifestyle, patient support, self image, success, weight loss, weight loss hampton roads, weight loss newport news, weight loss surgery, weight loss virginia on July 24, 2017 by CFWLS. Combine dry ingredients in a bowl. Stir to blend. Add canned pumpkin and syrup. Stir to blend. Form small (walnut-sized) balls by rolling in in your palms. Place on plate or tray and chill for 30 minutes until more firm. This entry was posted in Recipes and tagged #recipe, bariatric, CFWLS, diabetes, diet, fiber, food choices, low carb, protein, pumpkin, weight loss on October 21, 2016 by CFWLS. 2. Spray 8×8 or 7×9 baking dish lightly with cooking spray. 3. Line with parchment paper, leaving ends to hang over the edge on 2 sides. 4. Whisk coconut and almond flours together. Add salt and ¼ sugar substitute and stir to blend. 5. Cut in coconut oil until well blended. Press into bottom of baking dish. Press down with back of spoon to smooth. 7. Beat together eggs, lime juice, 1 Tbls lime zest and remaining 1 cup sugar substitute. 8. 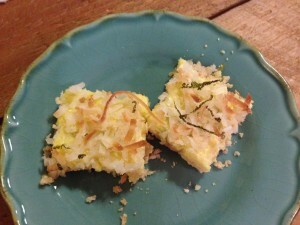 Pour gently over crust and sprinkle top with coconut flakes. 9. Sprinkle with remaining lime zest and bake for 12-15 minutes or until center is set. 10. Allow to cool for 10 minutes. Run spatula around edge of dish and lift parchment gently to remove bars from baking dish and place onto cutting board. 11. Slice into bars and enjoy! This entry was posted in Recipes and tagged #recipe, bariatric, CFWLS, coconut, diabetes, diet, eating, food choices, food diary, lifestyle, lime, low carb, protein, success, tips, weight loss on July 31, 2015 by CFWLS. This entry was posted in Doc Weight Loss, Podcasts and tagged achievement, bariatric, carbohydrate sensitivity, CFWLS, diabetes, Dr. Thomas Clark, eating, exercise, food choices, insulin resistance, lifestyle, low carb, patient support, weight loss on April 15, 2015 by CFWLS. This entry was posted in Doc Weight Loss, Podcasts and tagged bariatric, bmi, CFWLS, commitment, diabetes, diet, Dr. Thomas Clark, excess weight, exercise, goals, Lean body mass, lifestyle, motivation, obesity, overweight, patient support, success, weight loss on February 4, 2015 by CFWLS. Doc Weight Loss – Are There Any Benefits to Sports Drinks? This entry was posted in Doc Weight Loss, Podcasts and tagged bariatric, cardio, CFWLS, diabetes, diet, Dr. Thomas Clark, exercise, fitness, low carb, protein, sports drinks, success, tips, water on September 17, 2014 by CFWLS.